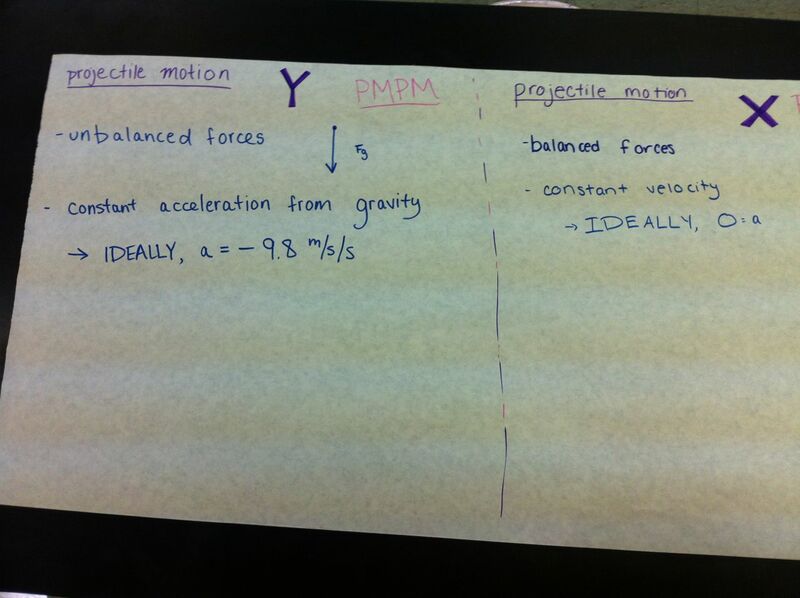 Today, we started modeling projectile motion in Honors Physics. 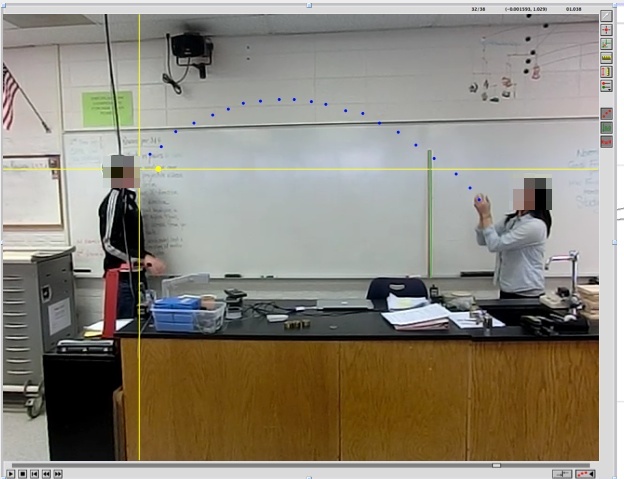 We filmed three examples of a ball being thrown and groups analyzed the videos using LoggerPro. I shared with students that they are ready to define this model without any assistance from me. Tomorrow, each group will present present their graphical and mathematical model and the class will define a general model for projectile model without any input from me! 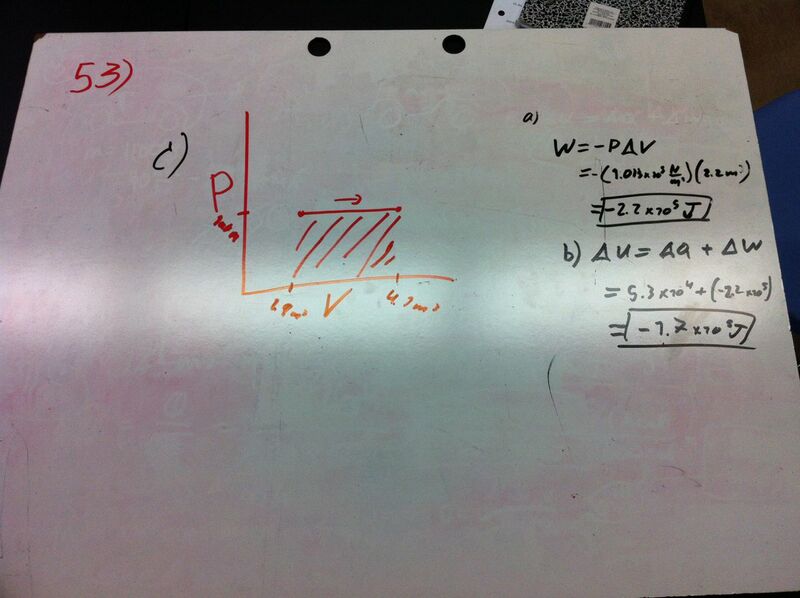 Day 60: Inconsistent Thermodynamics Problem? The answers matched the back of the book and make sense in terms of the calculations, but something didn’t sit right with me. I hoped one of the students would ask about it, but since no one did, I asked if we would expect the internal energy of the gas to increase or decrease based on the PV diagram. Since the pressure is constant and the volume is increasing, the internal energy must increase. However, based on the values supplied and the first law of thermodynamics, the change in internal energy is negative. After discussing, we decided that the values provided in the problem were just inconsistent and that the heat added to the gas should have been much larger. Are we right? Did I overlook something? 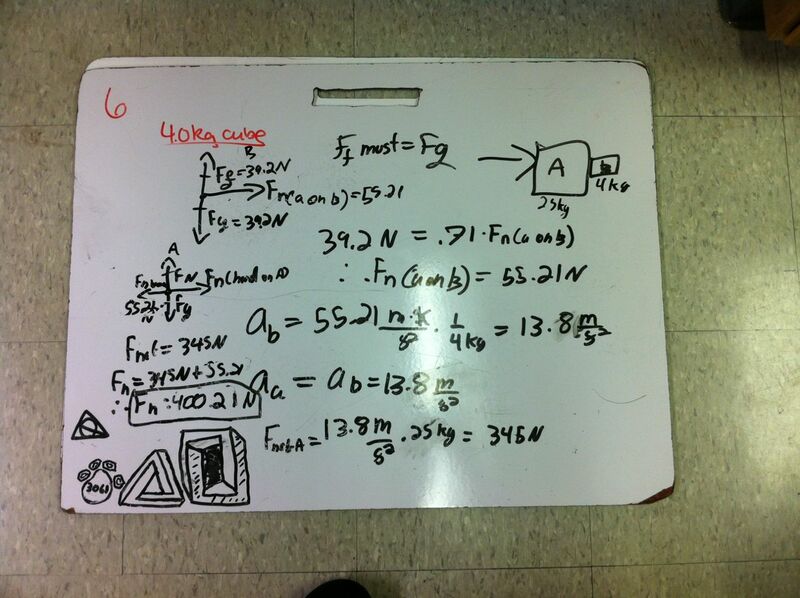 Posted on 11 November 2013 Leave a comment on Day 60: Inconsistent Thermodynamics Problem? 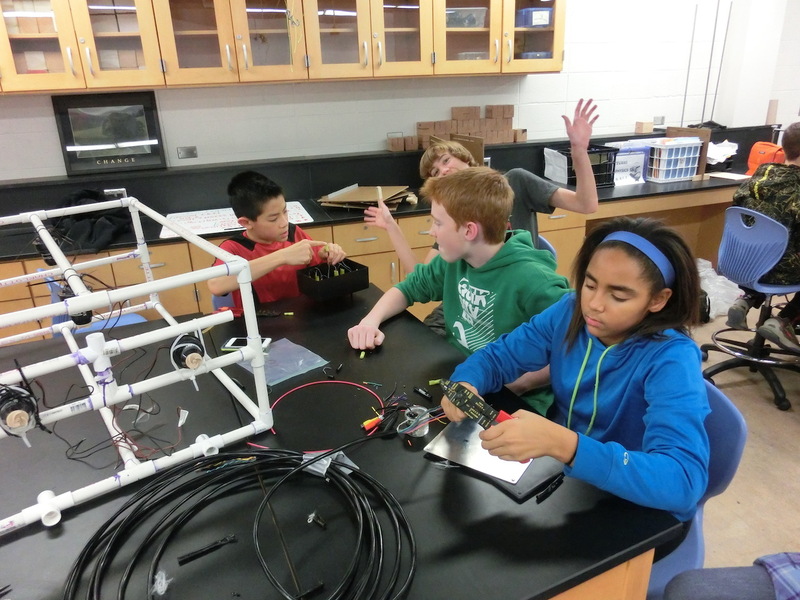 As I captured before, 42 junior-high students have been working with their high school mentors to design, construct, and test underwater remote-operated vehicles (ROVs). Over the past several weeks, they have completed their designs, cut PVC pipe, glued together their frame, and mounted their motors. This week most groups were installing switches in their control box and wiring the switches and motors. 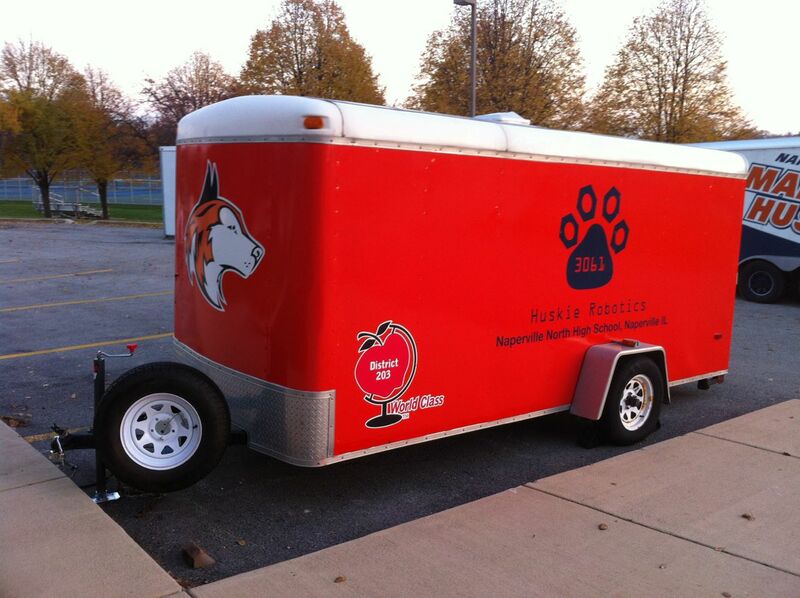 They still have a lot of work to do, but we hope to see some ROVs in the water in a couple of weeks! 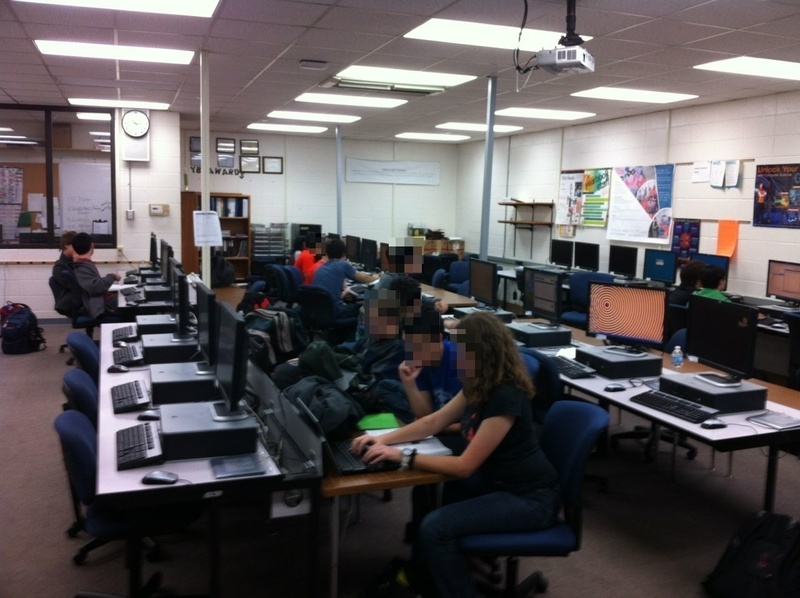 I wanted to change the dynamics of students working on in-class practice programming activities. I had forgotten that also wanted to introduce pair programming at some point this semester. Now is a good time! I’m not an Extreme Programming zealot, but I am a proponent of Agile Software methodologies and believe pair programming can be quite valuable. We started watching this video to introduce the main concepts. I’m hoping that pair programming helps keep students more on tasks, the class move at a more similar pace, and struggling students better understand the concepts. 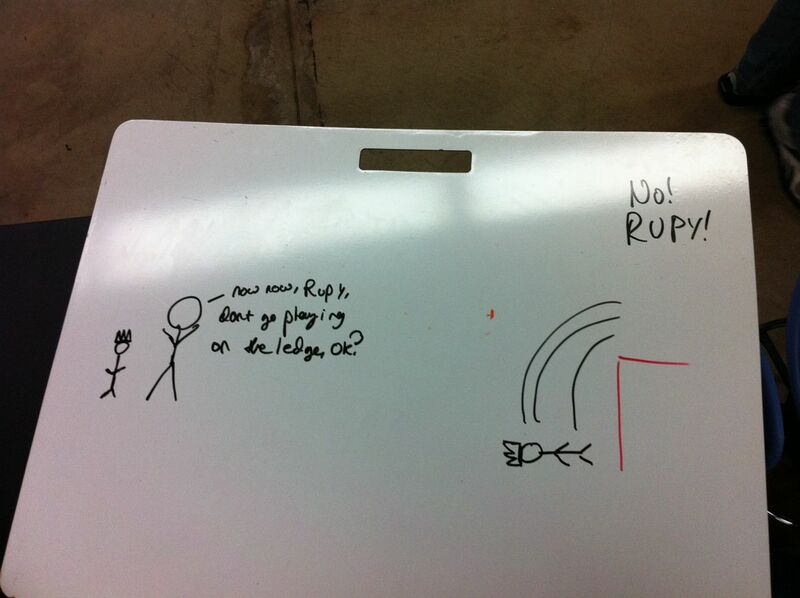 Problems involving someone in an elevator are some of my favorite problems to Whiteboard. It leads to a great discussion of the difference of the force of gravity and how heavy we “feel.” Riding in an elevator and feeling “heavy” or “light” is something that all students can relate to and then connect to the normal force of the elevator floor on the person. 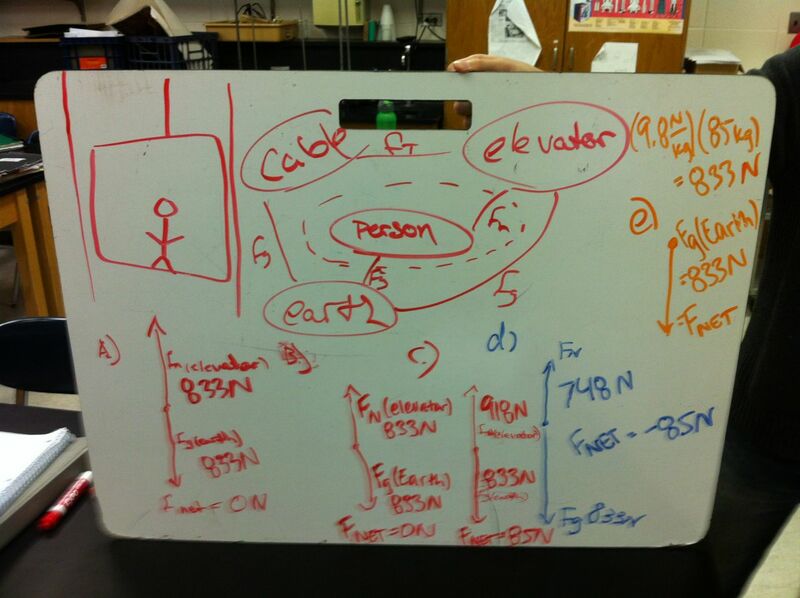 Often students have extraneous forces on their free-body diagram (usually the cable supporting the elevator). However, this group drew a great system schema that clearly showed the the cable was not interacting with the person and outside of the system.